I’ve somehow only recently got the chance to play The Resistance. Now that I have, I’m upset I’ve missed so many years of good times. 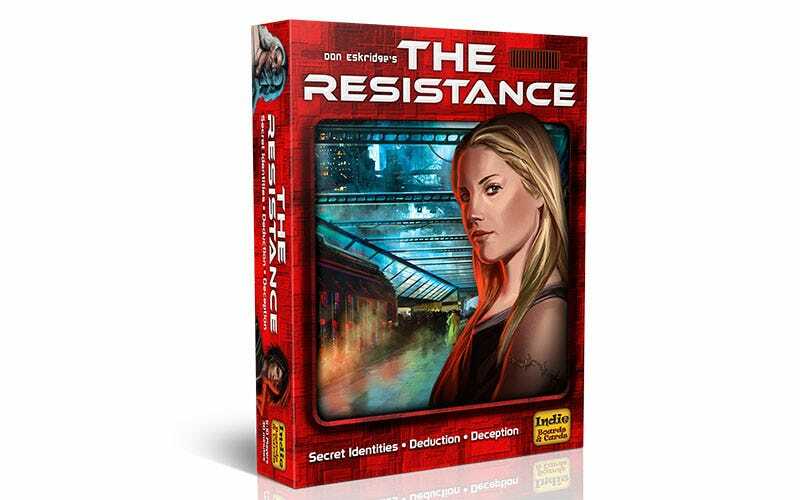 A game for 5+ players, The Resistance was first released in 2010. It’s a deduction game (think Bang!, or even Battlestar) where everybody plays as a member of a cyberpunk resistance movement, working together to organise and complete missions. Well, almost everybody. At the beginning of each game a select few players will be made enemy agents, and they’ll have to work in secret against everyone else, undermining each mission while also trying to remain hidden. Missions are performed by a single player nominating which agents are to undertake it (only a few people out of the total can take part), then everyone at the table either agreeing or disagreeing with the team selection. Once all players have approved, the players actually on the mission can play a card that either says SUCCEED or FAIL. If a single FAIL card is played, the mission is a bust. The operatives, working in the open, win the game if they’re able to complete a set number of missions. The spies, meanwhile, win if they’re able to cause enough mission failures. There’s a match card at the centre of the table. This one is going down to the wire, with the resistance (blue) and the man (red) tied at two missions each. First team to three wins is the winner. It all sounds very simple, and it is, and that’s what I love about it. 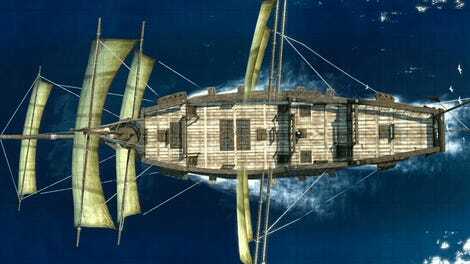 By capping the game at a set amount of missions, and only allowing a certain number of attempts at each mission, The Resistance is less about trying to identify patterns in voting behaviour, and more about straight human deduction. It’s important to monitor which players are voting what, of course, but it’s so easy for spies to “fake” their intentions by occasionally allowing missions to succeed that I found it was a lot more successful—and fun—to just focusing on watching my fellow players, and grilling them at every opportunity. It’s even better when you’re doing the grilling, looking for a spy, when you actually are a spy, and have the rest of the table fooled. Throw in player’s skill at lying, and their ability to hold a beer, and you’ve got one hell of a good session/party-starter, with games taking roughly 30 mins or so. There have been revisions and expansions for the game since the 2010 original, but I haven’t played them, just the core. The subsequent releases add stuff like special powers, slightly more advanced rules, you know the drill, but I love the base game’s simplicity so much I don’t know if I’d ever bother with them. As a small-ish card game, it’s pretty cheap, and also widely available, so you’d have no trouble tracking it down. And for the grown-ups out there, as useful a warm-up game (as in, something quick you play before settling in for a longer game) as this is, I can highly recommend playing with/after some drinks.